The Holden family has been recognized as one of the strongest names in the roofing industry since 1961. Servicing Austin n and surrounding areas. With thousands of satisfied customers to back the reputation we are so proud of today, we strive to treat each customer as if they are our only one, and each roofing job as if it was a job on our own home. Other companies advertise years of experience, the combined years of experience in our work force reaches into the 1,000′s. Holden Roofing prides itself on the simple principles of providing good work, good warranty, and all at a fair price. Holden Roofing has been recognized as a Platinum Preferred Contractor through leading shingle manufacturer, Owens Corning. While many shingle manufacturers offer contractor programs open to any roofer, membership in the Platinum Preferred contractor program is by invitation only. Contractors must submit a comprehensive safety program and be financially stable to even be considered for this program. Through this program, Holden Roofing is one of the few contractors in the United States that can offer the Platinum Promise Limited warranty. The Holden family has been recognized as one of the strongest names in the roofing industry since 1961. Servicing Houston and surrounding areas. With thousands of satisfied customers to back the reputation we are so proud of today, we strive to treat each customer as if they are our only one, and each roofing job as if it was a job on our own home. Other companies advertise years of experience, the combined years of experience in our work force reaches into the 1,000′s. 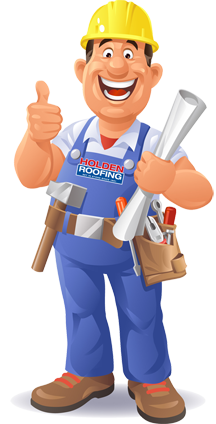 Holden Roofing prides itself on the simple principles of providing good work, good warranty, and all at a fair price. How to write a Google Review for Holden Roofing Dallas!